Product prices and availability are accurate as of 2019-04-03 01:23:02 UTC and are subject to change. Any price and availability information displayed on http://www.amazon.co.uk/ at the time of purchase will apply to the purchase of this product. 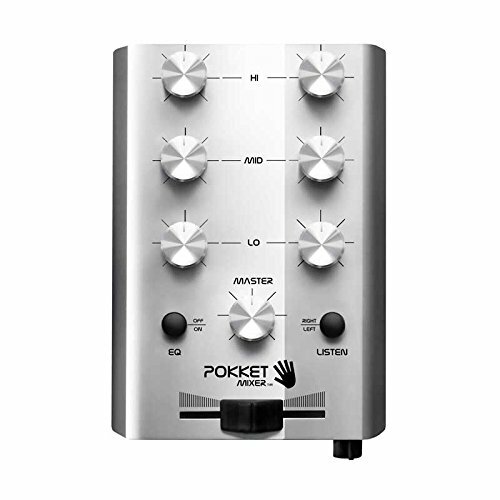 Hi Mr Dj are proud to offer the famous POKKETMIXER Portable Mini-DJ-Mixer, Mix your music spontaneously, live, anywhere and at anytime you want, silver. With so many DJ products available today, it is great to have a brand you can rely on. The POKKETMIXER Portable Mini-DJ-Mixer, Mix your music spontaneously, live, anywhere and at anytime you want, silver is certainly that and will be a excellent gift. 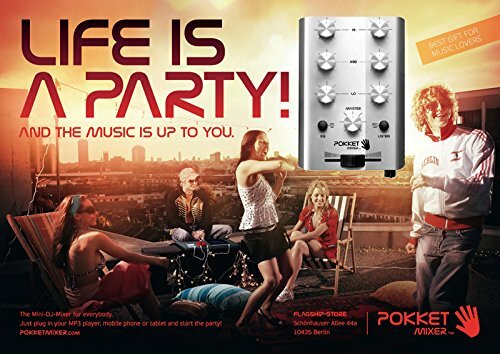 For this great price, the POKKETMIXER Portable Mini-DJ-Mixer, Mix your music spontaneously, live, anywhere and at anytime you want, silver comes highly respected and is always a popular choice amongst many of our customers. POKKET GmbH have included some excellent touches and this equals a great bargain price. 'POKKETMIXER' - a mobile mini DJ platform, requiring no power supply so that a user can mix their own music wherever they might be. The 130 gram console features a crossfader, a 'listen' switch which allows music to be heard from any device through headphones and an "equalizer switch" which can change low, mid and high frequencies of the left or right player. Every device with a headset output can be plugged in such as an MP3 player, mobile phone, notebook, iPad, PC or personal CD player. The "POKKETMIXER" uses only a headphone signal to activate it, making it the first DJ mixer that does not require battery or electricity. 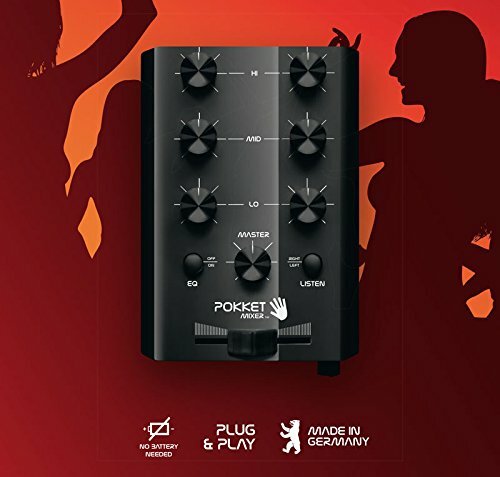 The smallest DJ mixer in the world - POKKETMIXER is made in Berlin. POKKETMIXER - Mix your music spontaneoulsy, live, anywhere and at anytime you want - together with your friends! 3-Band Equalizer each channel, pre listen function left/right, crossfader, volume for music system, headphone volume, equalizer activation Quick and easy set up extremely flexible use two in, one out works with any device with a headset output, i.e. MP3 Player, mobile phone, laptop, tablet, PC, personal CD player etc.